Coffey Clean Care... Does it Best! Free Instant Estimate Family-owned and operated for over 30 years, Coffey Clean Care is a full-service residential and commercial cleaning company for residents and businesses in the greater New Milford / Litchfield and Fairfield Counties, Connecticut. Our work is complete and your satisfaction is guaranteed! After all, ‘clean’ is our middle name! Coffey Clean Care offers a 100% guarantee on all our work and services. We can make this offer because we believe in our service and use the latest equipment, cleaning chemicals of the highest quality, and our unsurpassable cleaning process is state-of-the-art. Being a family-owned business, we select the type of personnel that you would invite into your home. We gladly accept responsibility for your furnishings when we are working in your home or office. Coffey Clean Care was founded on the basic philosophy of providing the best professional service with expert workmanship and attention-to-detail. We have always strived to exceed our customers’ expectations. That is why our customers can always expect all our work to be completed with a Satisfaction Guarantee! 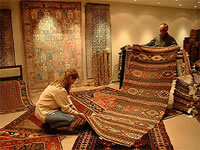 We have a variety of services for carpets, rugs, drapes, upholstery, floors and windows. Carpeting is a major investment in your home, and regular cleanings are necessary to keep it looking new. In fact, soil, not foot traffic, is the largest contributor to the premature aging of carpets. Regular carpet cleanings are so important that most major carpet manufacturers require them in order to maintain their warranty. You can always count on our service to be professional and complete. When we clean your couch, love seat, chairs, etc., there is no question that we will clean the entire unit... seat and back cushions, as well as loose back pillows are always cleaned on both sides. Our cleaning method is low moisture and will safely dry within a few hours. 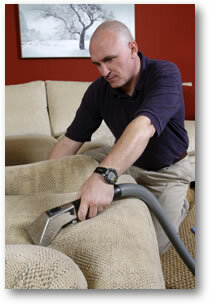 In many cases, your furniture will be dry before we even leave your home or office. We have always delighted our customer beyond their expectations. Nothing could be more convenient than having your draperies cleaned by Coffey Clean Care. 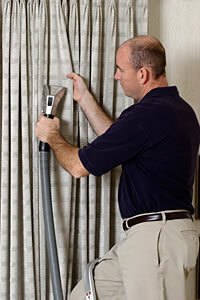 In our initial visit to your home, we will inspect and measure your drapes. After providing a written estimate and given the job, we will then carefully remove and transport the drapes to our drapery cleaning plant. Indoor air quality is a new concern for many people. Therefore, Coffey Clean Care took upon itself to master indoor air quality assessment and improvement. Some of the services we provide are HVAC System Cleaning and Restoration/Air Duct Cleaning, HVAC Fire/Smoke/Water Remediation, Indoor Air Quality (IAQ) Assessment and Improvement, UV Light Cleanser, Filter Supply and Dryer Vent Cleaning. Making a building habitable after fire and smoke damage is a tricky endeavor. We have experience making the difficult-to-be-rid-of smell of burned materials go away. 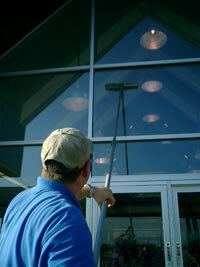 Coffey Clean Care handles all types of emergencies for homes and businesses. Had your favorite crew over for a construction project and, as usual, there's a barrel, materials, dust and loose ends to tie up both inside and out? We’ll leave the grounds immaculate—inside and out—so you can enjoy your addition or the benefits of your construction project. Clean windows can make a huge difference in the atmosphere of your home, and it can be an essential part of your businesses image, but cleaning your own windows is a big task, and it can be tedious and frustrating, as well as time-consuming and dangerous. That's why it’s a ‘clear’ choice to use the professionals at Coffey Clean Care. Why Use Coffey Clean Care? Coffey Clean Care is the leading provider of cleaning services with an outstanding reputation for quality and integrity, throughout the greater New Milford, Litchfield & Fairfield County (CT) areas. For over 30 years we have been providing the highest quality custodial and office cleaning services for businesses of all sizes. Commercial and Industrial institutions have been trusting Coffey Clean Care for their most demanding office and janitorial cleaning jobs. By choosing Coffey Clean Care, you can rest assured that your facility will be impeccably maintained and will reflect the professional image you wish to project to your clients and employees. Let us customize a cleaning service program to suit your individual needs and budget. We offer a wide range of custodial and janitorial services for commercial office cleaning. From light duty office cleaning on a monthly or weekly basis to heavy-duty custodial cleaning service on a daily/nightly basis. Whether we're in your office, bank, hospital or school, our commercial cleaning staff knows how important their job is to you. 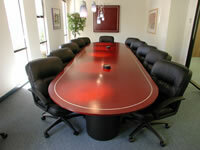 You can count on Coffey Clean Care for top-notch office cleaning at affordable rates. We will satisfy your requirements and exceed your expectations. Our employees are well trained, courteous, and polite, and you can be assured that they will be on the job keeping your facility and it's contents clean, safe and secure. Our employees are specially trained in the most modern and effective office cleaning techniques, as well as trained in product usage and safety procedures. 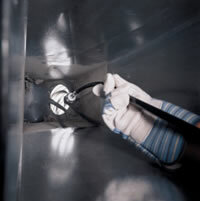 We work diligently to ensure that all cleaning service plan specs are performed to the highest industrial standard. Coffey Clean Care's janitorial and office cleaning services will save you time, money and aggravation. No more worrying as to whether or not the janitorial service did their job properly and no more surprises like finding they didn't even do it at all. Coffey Clean Care will get the job done and get it done right – professionally, thoroughly and consistently – no excuses! 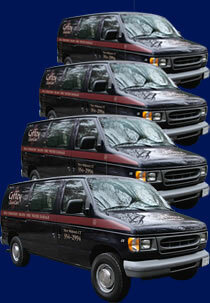 Coffey Clean Care is a family-owned and operated full service cleaning company. Many of our employees have been with us for more than 15 years and are part of the Coffey Clean Care family. New employees are thoroughly screened for your protection. Coffey Clean Care is fully insured and bonded, providing liability and property damage coverage. Our employees are neat in appearance and are identifiable by the Coffey Clean Care logo. To assist you in the event of an emergency, we can be reached 24 hours a day at 860-354-2994. Enhance the professional appearance of your business by maintaining your facility with Coffey Clean Care's expert office cleaning and janitorial service. Great service speaks for itself – as all our commercial office cleaning services do. 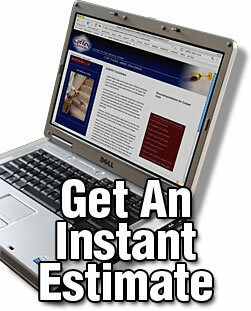 So let us customize a no-obligation estimate for you. Request a FREE ESTIMATE or for more information on our customized office cleaning service, call us at (860) 354-2994, or Email us. We will be happy to answer all your questions. Presenting a clean business environment is prominent in impressing clients and customers and improving morale among your employees. Our expert office cleaning staff will provide your company with a worry-free way of monitoring a professional atmosphere day after day. We do the work so you can concentrate on your business. If you know the nature of any spots, please inform us so that we can maximize our pre-spotting efforts. Although we will move and return all furniture (with the exception of pianos, china cabinets, multimedia equipment, and aquariums) to its original position, we ask that you move all breakables from the cleaning area. Typical carpet drying time is 6-8 hours. During this time, it may be a good idea to keep small children and pets away from the area, as well as street shoes that can soil the still-drying carpet. Please refrain from rearranging any furniture for at least 48 hours after cleaning to minimize the incidence of carpet varnish stains. 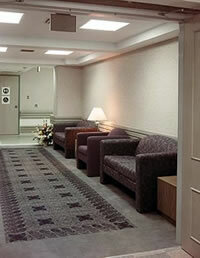 Our cleaning process is safe for any properly installed carpet. If you are aware of any installation problems, please make us aware of these problems so that we may take extra precautions. Contact us for a timely quote for your residential or commercial cleanup, upholstery, carpet, drapery, or duct cleaning requirements.